College students, military personnel, & senior citizens can enjoy discounts by presenting their id cards! Emporium Tobacco & Gifts has been the go-to destination for tobacco and smoking supplies since 1999. 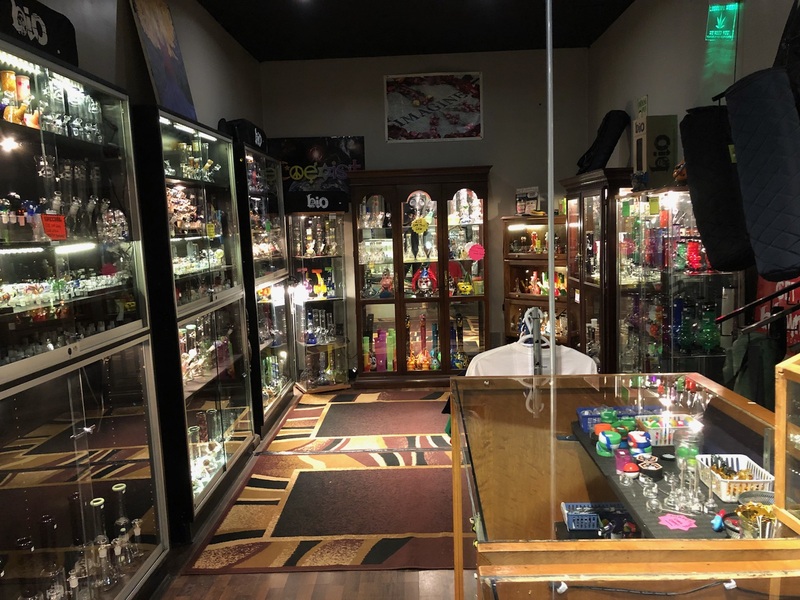 We offer customers a wide range of options in loose tobacco, cigars and vape products, CBD oil products for both people and pets! 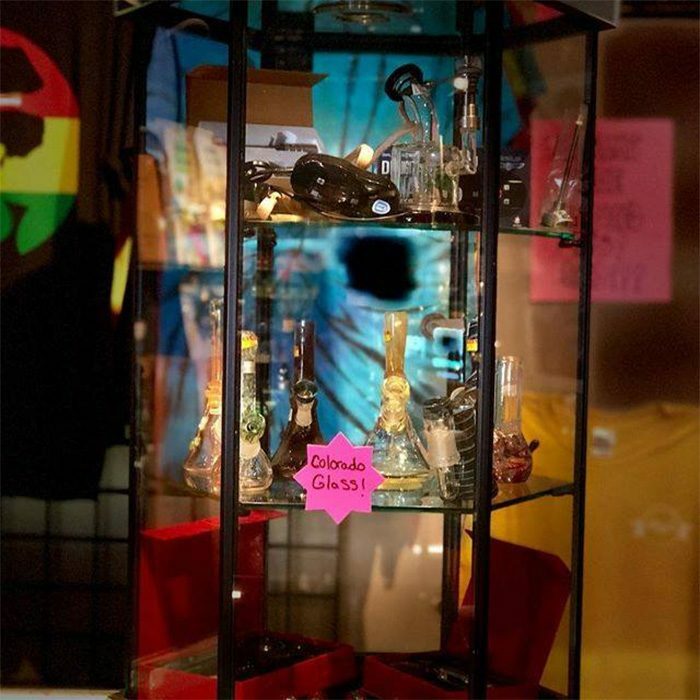 Stop by to see our entire selection of custom glass pieces, hydroponic grow kits, vape accessories and more. Our knowledgeable staff is here to guide you to the products you’re looking for and answer any questions you might have. 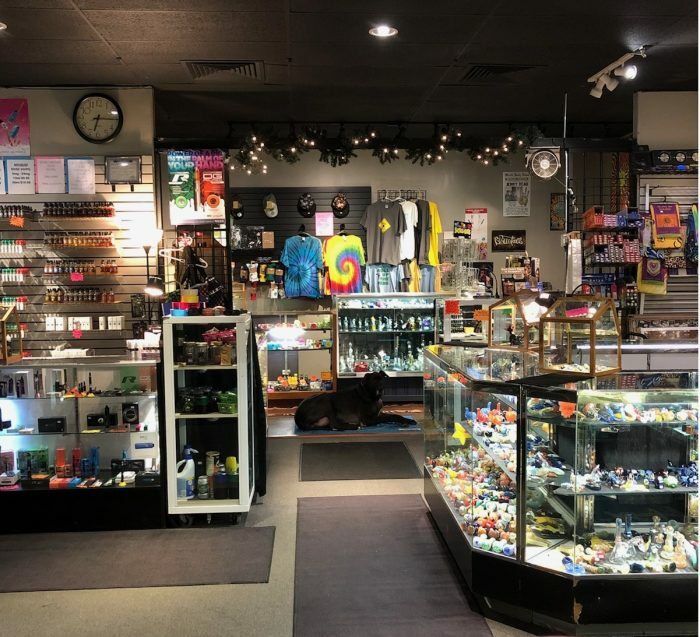 We’re a full-service smoke shop carrying everything from traditional tobacco products, to vape supplies, to CBD products and even a range of hydroponics and grow supplies! Whether you’re a long-time tobacco user who favors hand-rolling their own cigarettes or someone who enjoys sharing hookah with friends, Emporium Tobacco & Gifts is proud to bring you the smoking products and accessories you enjoy. Our smoke and vape shop in Rutland, VT is set up to be your all-in-one destination for smoking products, supplies, parts and miscellaneous extras! 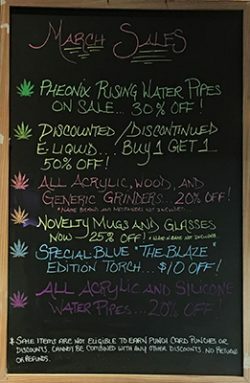 We’ve got everything from lighters and rolling supplies, to e-juices and batteries for vape setups, to promo items like shirts and hats. Are you looking for CBD products for yourself or your pet? Thinking about getting into hydroponics? 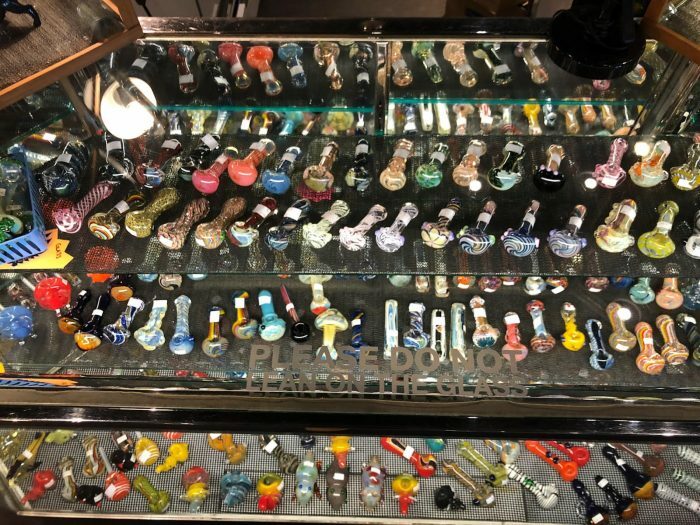 Thinking about picking up a new piece of glass that’s custom-made and totally unique? Look no further than our shelves for everything you could want! 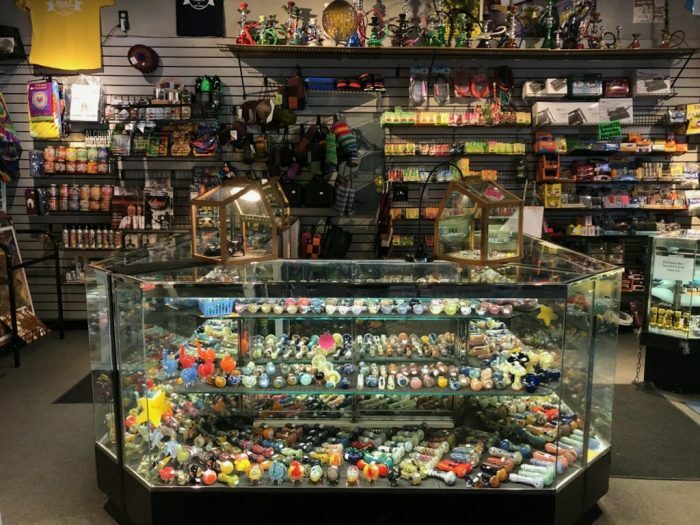 We go beyond any other head shop to provide more products, unique options and better customer satisfaction. 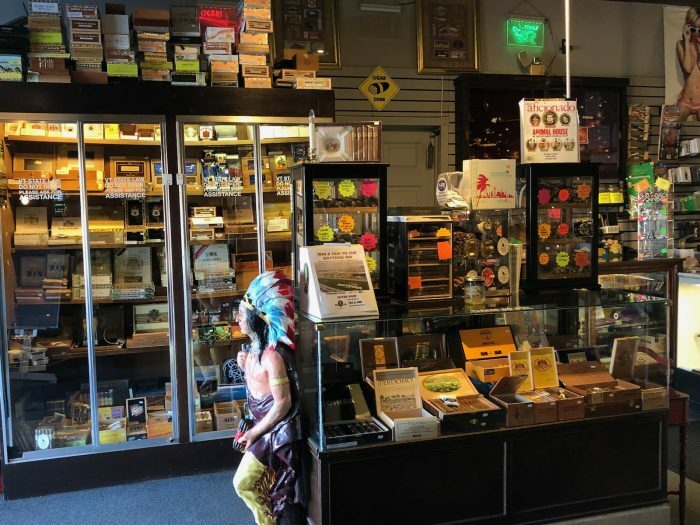 We’ve got a great selection of premium cigars and hand-roll tobacco, as well as a full scope of flavored hookah tobacco. 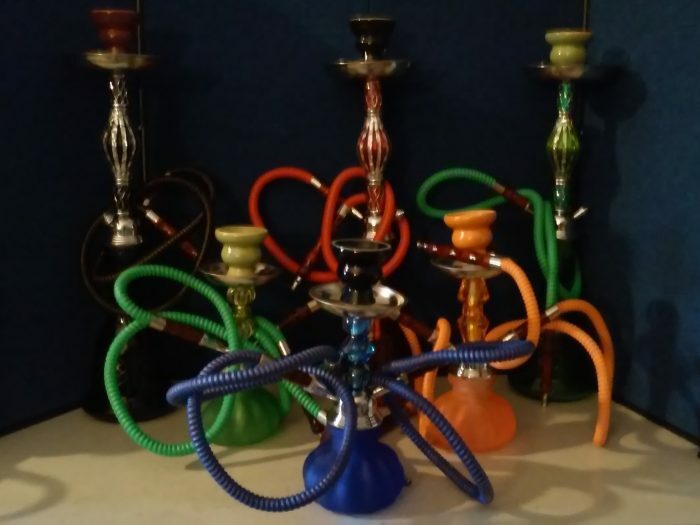 Our products are brought to you from some of the most popular brand names in the industry, including Al Fakher, Kanger Tech, Smok, Starbuzz and more. We’ve been locally-owned and -operated since 1999, with a staff that’s widely knowledgeable in everything we sell. 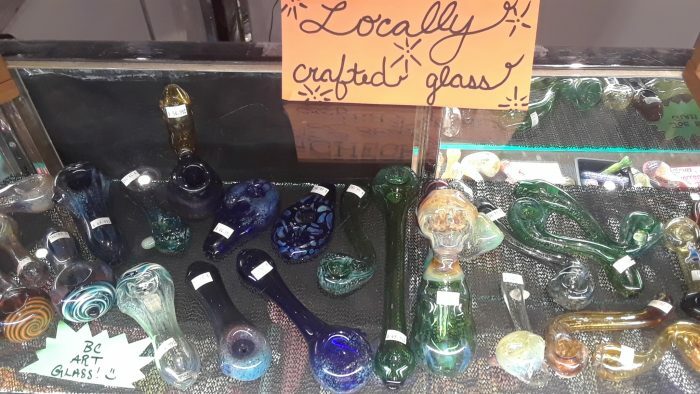 We’re extremely proud of our huge glass selection. We’ve got a unique piece for everyone, whether you prefer handheld glass or water pipes. Our new CBD infused pouches contain 10mg of CBD: available in Natural Mint, Tangy Citrus and Full American Flavor (tobacco). There are 15 infused pouches in a single can. The best part is there’s no spitting, so they can be used almost everywhere! 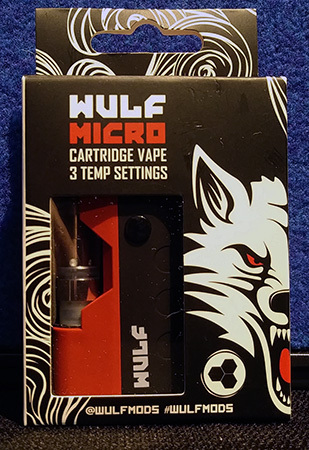 The Wulf Micro Cartridge Vape has 3 temperature settings and only accepts pre-filled tanks! The battery is covered by a 1 year limited Warranty through the manufacturer. 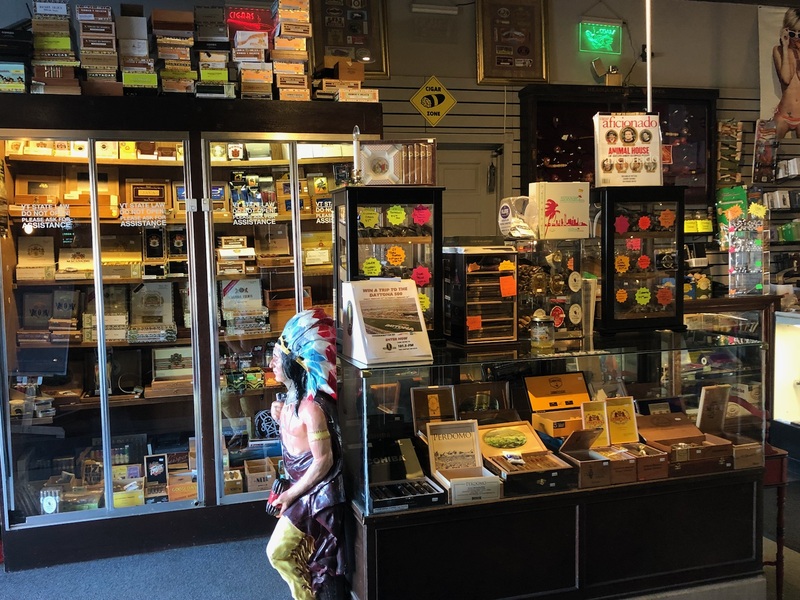 We welcome long-time tobacco enthusiasts and brand-new customers alike at our smoke shop in Rutland, VT. From simple suggestions about flavored tobaccos to help understanding hydroponics, our goal is to ensure you enjoy your hobby to its fullest. Looking for something in particular? We’ll be glad to help you find it and if we don’t carry it, we may be able to order it for you. We’ll do whatever it takes to provide you with a great smoking experience and we look forward to seeing you in our shop for years to come! 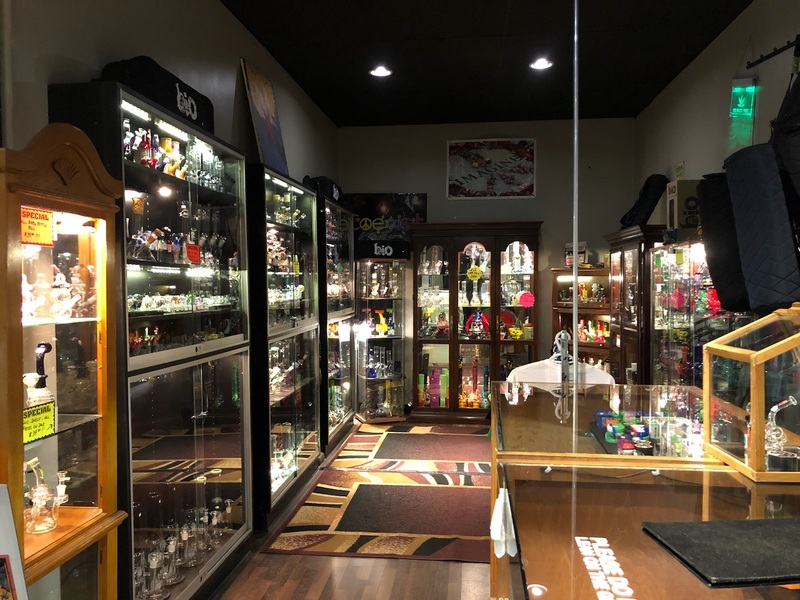 From loose tobacco, to flavored hookah products, to vape supplies and much more, Emporium Tobacco & Gifts is your destination for any and all smoke supplies you might be looking for!